He was born in London and grew up in Thursley, Surrey, the son of Charles Henry Augustus Lutyens and Mary Theresa Gallwey. He was named after a friend of his father's, the painter and sculptor, Edwin Landseer. For many years he worked from offices at 29 Bloomsbury Square, London. Lutyens studied architecture at South Kensington School of Art, London from 1885 to 1887. After college he joined the Ernest George and Harold Ainsworth Peto architectural practice. It was here that he first met Sir Herbert Baker. He began his own practice in 1888, his first commission being a private house at Crooksbury, Farnham, Surrey. During this work, he met the garden designer and horticulturalist Gertrude Jekyll. In 1896 he began work on a house for Jekyll at Munstead Wood, Godalming, Surrey. It was the beginning of a fruitful professional partnership that would define the look of many Lutyens country houses. The "Lutyens-Jekyll" garden overflowed with hardy shrubery and herbaceous plantings within a firm classicising architecture of stairs and balustraded terraces. This combined style, of the formal with the informal, exemplified by brick paths, softened by billowing herbaceous borders, full of lilies, lupins, delphiniums, and lavender was in direct contrast to the very formal bedding schemes favoured by the previous generation in the Victorian era. This new "natural" style was to define the "English garden" until modern times. Lutyens' fame grew largely through the popularity of the new lifestyle magazine Country Life created by Edward Hudson, which featured many of his house designs. Hudson was a great admirer of Lutyens' style and commissioned Lutyens for a number of projects, including Lindisfarne Castle and the Country Life headquarters building in London, at 8 Tavistock Street. One of his assistants in the 1890s was Maxwell Ayrton . Initially, his designs all followed the Arts and Crafts style, but in the early 1900s his work became more classical in style. His commissions were of a varied nature from private houses to two churches for the new Hampstead Garden Suburb in London to Julius Drewe's Castle Drogo near Drewsteignton in Devon and on to his contributions to India's new imperial capital New Delhi (where he worked as chief architect with Herbert Baker and others). Here he added elements of local architectural styles to his classicism, and based his urbanization scheme on Mughal water gardens. He also designed the Hyderabad House for the last Nizam of Hyderabad, as his Delhi palace. He also designed a chalk building, Marsh Court, in Hampshire, England. Built between 1901 and 1905, it is the last of his Tudor designs and was based on a variant of ancient rammed earth building techniques. In 1903 the main school building of Amesbury Prep School in Hindhead, Surrey, was designed and built. It is the only school to have been purpose-built by Lutyen. It is now a Grade 2* listed building of National Significance. The building has been extensively renovated in the last five years. Before the end of World War I, he was appointed one of three principal architects for the Imperial War Graves Commission and was involved with the creation of many monuments to commemorate the dead. The best known of these monuments are the Cenotaph in Whitehall, Westminster and the Memorial to the Missing of the Somme, Thiepval. The Cenotaph was originally commissioned by David Lloyd George as a temporary structure to be the centrepiece of the Allied Victory Parade in 1919. Lloyd George proposed a Catafalque — a low empty platform but it was Lutyens' idea for the taller monument. The design took less than six hours to complete. Many local war memorials (such as the one at All Saints', Northampton) are Lutyens designs — based on the Cenotaph. He also designed the War Memorial Gardens in Dublin, which were restored in the 1990s. Other works include the Tower Hill memorial, and (to a similar design to his India Gate) a memorial in Victoria Park in Leicester. Lutyens also refurbished Lindisfarne Castle for its wealthy owner. He was knighted in 1918, and was elected a Fellow of the Royal Academy in 1921. In 1924, he was appointed a member of the newly created Royal Fine Art Commission, a position he held until his death. In 1924 he completed the supervision of the construction of what is perhaps his most popular design: Queen Mary's Dolls' House. This four storey Palladian villa was built in 1/12th scale and is now a permanent exhibit in the public area of Windsor Castle. It was not conceived or built as a plaything for children — its goal was to serve as an exhibit of the finest British craftsmanship of the period. He was commissioned in 1929 to design a new Roman Catholic cathedral in Liverpool. Lutyens planned a vast building of brick and granite, topped with towers and a 510-foot dome, with commissioned sculpture work by Charles Sargeant Jagger and W. C. H. King. Work on this magnificent building started in 1933, but was stopped during the Second World War. After the war the project ended due to a shortage of funding, with only the crypt completed. A model of Lutyens' unrealised building is displayed in the Walker Art Gallery. The architect of the present Liverpool Metropolitan Cathedral, which was built over land adjacent to the crypt and consecrated in 1967, was Sir Frederick Gibberd. In 1945, a year after his death, A Plan for the City & County of Kingston upon Hull was published. 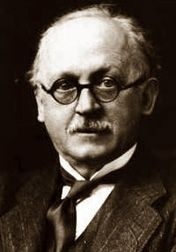 Lutyens worked on the plan with Sir Patrick Abercrombie and both are credited as its co-authors. Abercrombie's introduction in the plan makes special reference to Lutyens's contribution. The plan was however rejected by the City Council of Hull. Largely designed by Lutyens over twenty or so years (1912 to 1930), New Delhi, situated within the metropolis of Delhi, was chosen to replace Calcutta as the seat of the British Indian government in 1912; the project was completed in 1929 and officially inaugurated in 1931. In undertaking this project, Lutyens invented his own new Order of classical architecture, which has become known as the "Delhi Order" and was used by him for several designs in England, such as Campion Hall, Oxford. Unlike the more traditional British architects who came before him, he was both inspired by and incorporated various features from the local and traditional Indian architecture — something most clearly seen in the great drum-mounted Buddhist dome of the Viceregal Lodge, now Rashtrapati Bhavan. This palatial building, containing 340 rooms, is built on an area of some 330 acres (1.3 km²) and incorporates a private garden also designed by Lutyens. The building was designed as the official residence of the Viceroy of India and is now the official residence of the President of India. Rashtrapati Bhavan, formerly the Viceregal Lodge designed by Lutyens, and adjacent buildings illuminated for the Republic Day. The "Delhi Order" columns at the front entrance of the palace have bells carved into them which, it has been suggested, Lutyens had designed with the idea that as the bells were silent the British rule would never come to an end. At one time, more than 2,000 people were required to look after the building and serve the Viceroy's household. The new city contains both the Parliament buildings and government offices (many designed by Herbert Baker) and was distinctively built of the local red sandstone using the traditional Mughal style. When drawing up the plans for New Delhi, Lutyens planned for the new city to lie southwest of the walled city of Shahjahanbad. His plans for the city also laid out the street plan for New Delhi consisting of wide tree-lined avenues. Built in the spirit of British colonial rule, the point where the new imperial city and the older native settlement met was intended to be a market; it was there that Lutyens imagined the Indian traders would participate in "the grand shopping centre for the residents of Shahjahanabad and New Delhi", thus giving rise to the D-shaped market seen today. Many of the garden-ringed villas in the Lutyens Bungalow Zone (LBZ) that were part of Lutyens' original scheme for New Delhi are under threat due to the constant pressure for development in Delhi. The LBZ was placed on the 2002 World Monuments Fund Watch List of 100 Most Endangered Sites. It should be noted that none of the bungalows in the LBZ were designed by Lutyens - he only designed the bungalows in the Presidential Estate surrounding Rashtrapati Bhavan. Other buildings in Delhi that Lutyens designed include Baroda House, Bikaner House, Hyderabad House, Jaipur House and Patiala House. Lutyens also worked in Ireland and his works there include the Irish National War Memorial Gardens in Islandbridge Dublin which consists of a bridge over the railway and a bridge over the river Liffey (unbuilt) and two tiered sunken gardens ; Heywood Gardens, County Laois (open to the public) consisting of a hedge garden, lawns, tiered sunken garden and a belvedere; extensive changes and extensions to Lambay Castle, Lambay Island near Dublin consisting of a circular battlement enclosing the restored castle, a village near the harbour, a real tennis court, a double houes, a boathouse and a chapel; alterations and extensions to Howth Castle, County Dublin; The unbuilt Hugh Lane gallery straddling the River Liffey on the site of the Ha'penny Bridge and the unbuilt Hugh Lane Gallery on the west side of St Stephen's Green; and a hunting lodge in north County Donegal. In Northern Ireland he is attributed as architect of Stormont House in Belfast, designed as a home for the Speaker of the Northern Ireland Parliament. Two years after she proposed to him and in the face of parental disapproval, Lady Emily Bulwer-Lytton (1874–1964), third daughter of Edward Bulwer-Lytton the 1st Earl of Lytton, a former Viceroy of India, and Edith Villiers, married Lutyens on 4 August 1897 at Knebworth, Hertfordshire. They had five children, but the union was largely unsatisfactory, practically from the start. The Lutyens' marriage quickly deteriorated, with Lady Emily turning her interest to theosophy, Eastern religions and a fascination – emotional and philosophical – with Jiddu Krishnamurti. In the later years of his life, Lutyens suffered with several bouts of pneumonia. In the early 1940s he was diagnosed with cancer. He died on 1 January 1944. His memorial, designed by his friend and fellow architect William Curtis Green, is in the crypt of St. Paul's Cathedral, London.